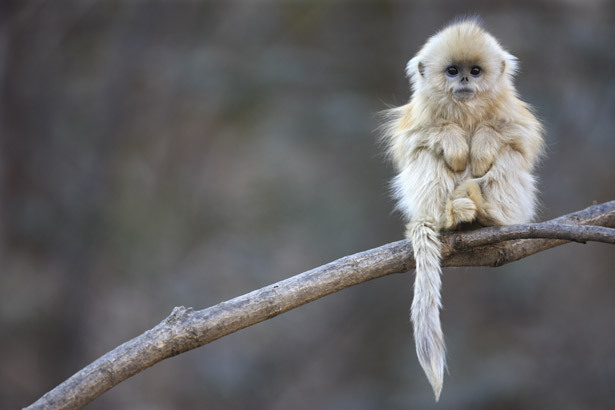 KUNMING, Jan. 13 : A large group of rare Phayre's leaf monkeys has been spotted in southwest China's Yunnan Province, an animal expert said. More than 200 of the leaf monkeys, a Class I state-protected wild animal, were seen by volunteers in Yunnan's Dehong Dai and Jingpo Autonomous Prefecture earlier this month. It is the biggest group ever recorded in China. Phayre's leaf monkeys, also known as Phayre's langurs, scatter in western Yunnan and in eastern and northern Myanmar. They usually live in forests below 2,700 meters above sea level, said Chen Jianwei, with Beijing Forestry University. Files compiled in the 1980s show less than 2,000 Phayre's langurs lived in Yunnan. By the end of the 20th century, logging had further reduced their habitat and their number. "A group of Phayre's langurs usually consists of no more than 30, so the latest discovery is really unusual," Chen said.